Lewis and Clark Trail Events, Coupons, Reviews! 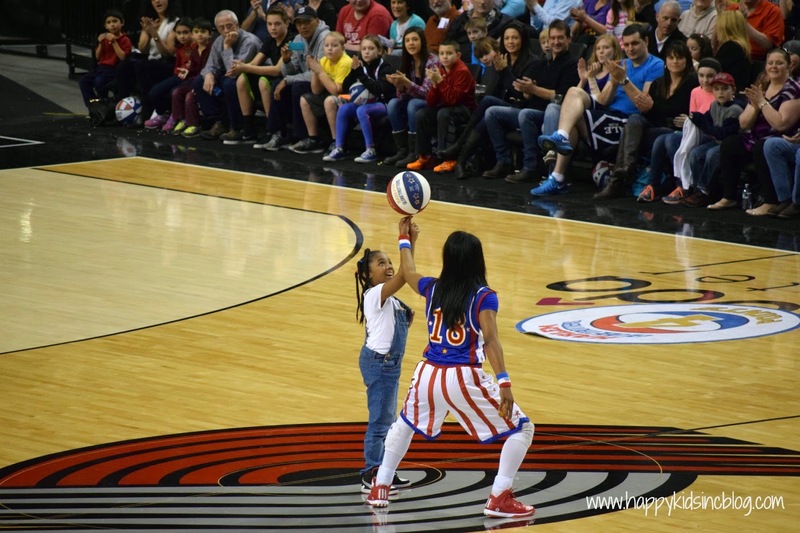 When you hear the name The Harlem Globetrotters, most thoughts revolve around talented basketball players wearing red, white, and blue able to perform fun tricks. 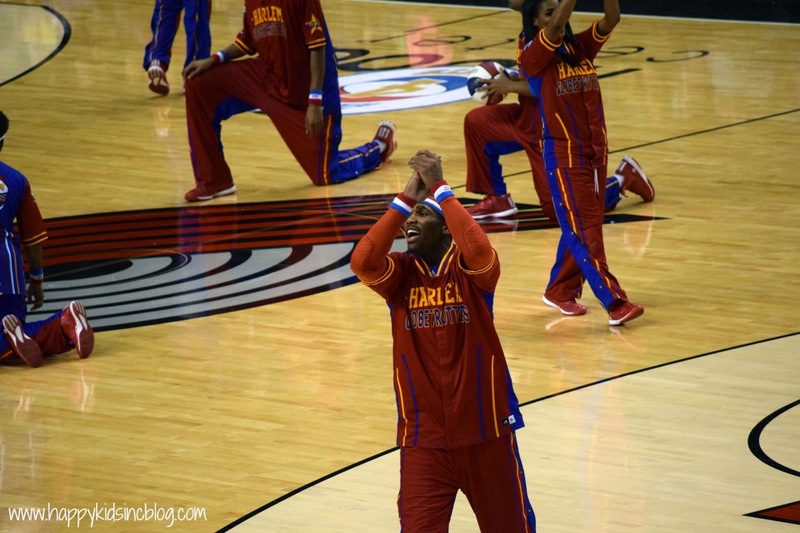 Well, that was exactly the scene at The Moda Center in Portland this past weekend. 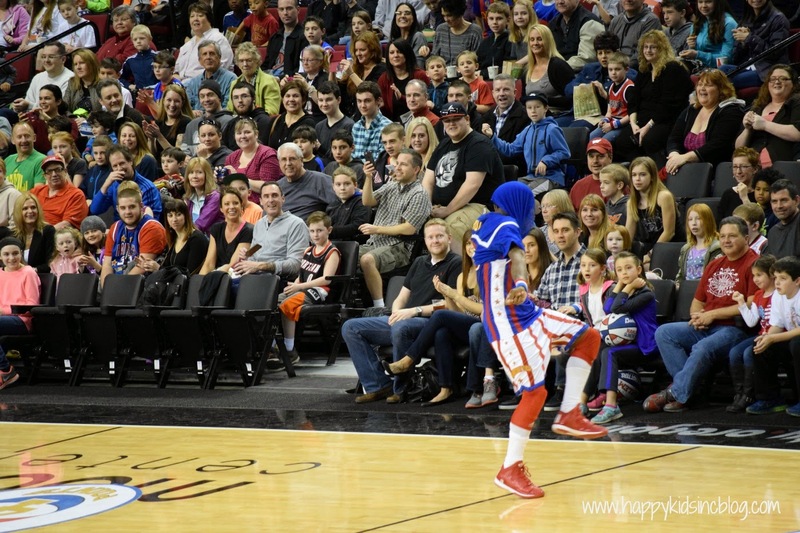 I had seen The Harlem Globetrotters as a kid, but was looking forward to taking my family to see them. They did not disappoint. 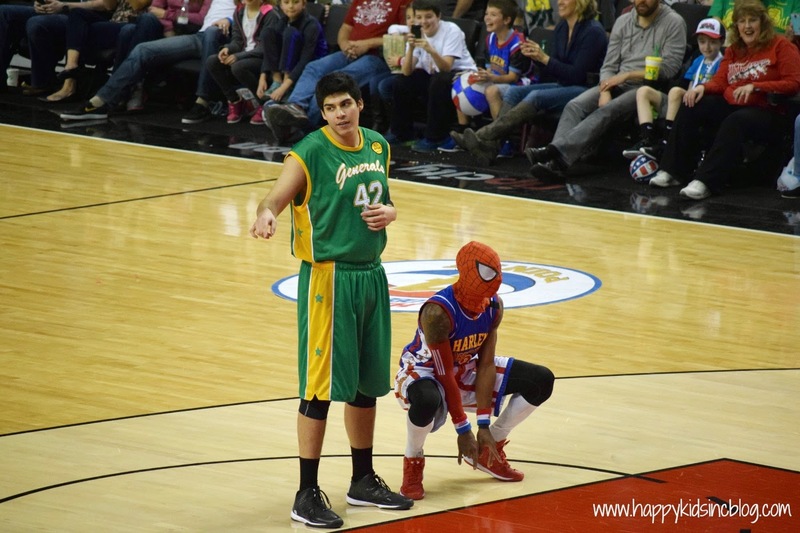 Their game playing and performance lived up to what we have all loved about them for years: quick basketball moves, fun tricks, out-of-the-ordinary antics on the court, and laughs. 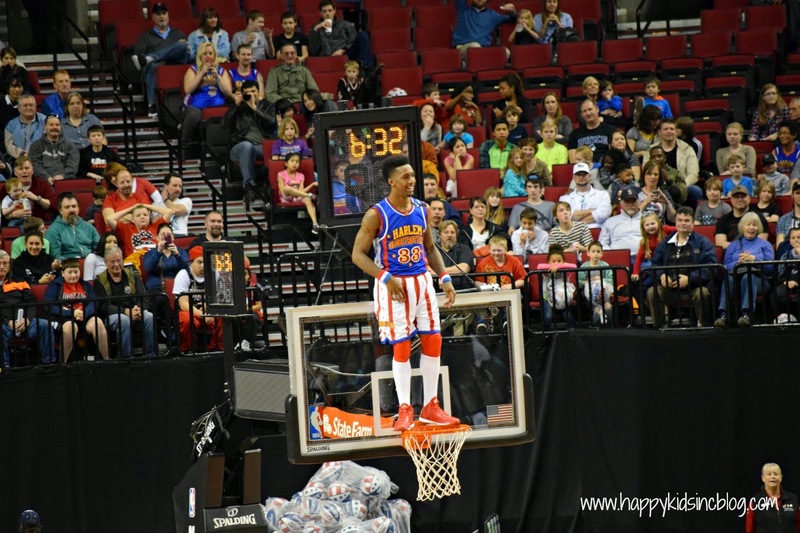 Whether they were climbing on the basketball hoop or jumping on the referees back, the crowd loved it and my kids were giggling along, too. As a bonus to ALL fans (no matter where your seats are), there was an autograph session after the game. It's a great time to get a souvenir basketball signed or possibly a t-shirt. 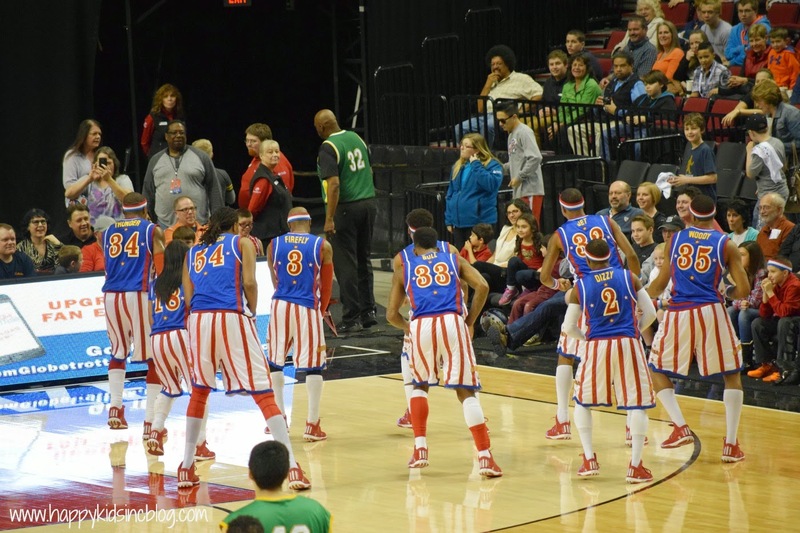 You can view all my Harlem Globetrotters videos by clicking here. 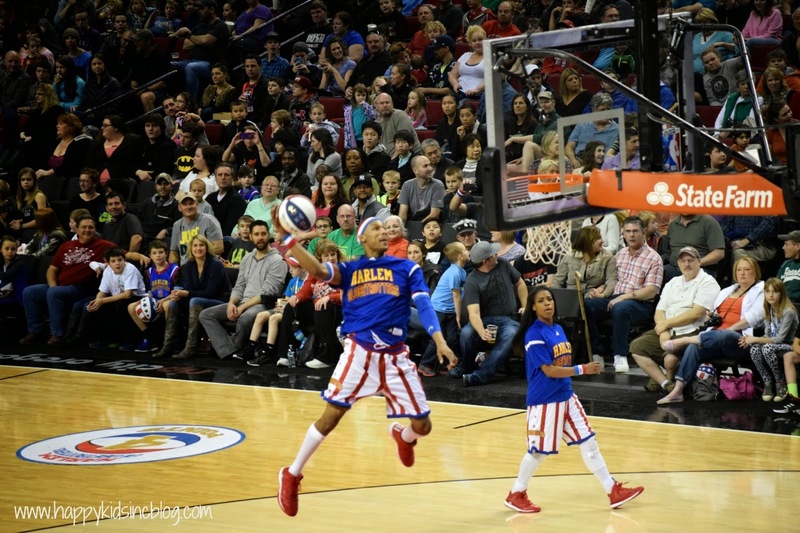 The Harlem Globetrotters still have a few dates left on their tour. Check them all out by clicking here. You can use the promo code FAMGUIDE to receive $7 off your ticket purchase.